ISO comfortable Shiny Rubber Rain Boots, about ankle high. 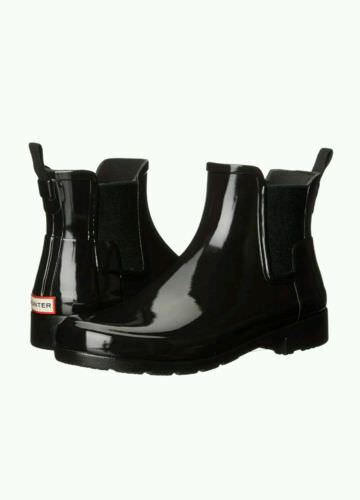 Im looking for a pair of shiny rubber rain boots, not too pointy toe, not round toe, that arent expensive. These are Hunter brand and theyre over $100. I bought very similar ones for less than 50, think they were Sam Edelman, but they're not comfortable, so I don't wear them. I live in BP and I see lots of women wearing this type, but no brand sticker on them. I think Sherels has similar. Anyone know how good they are? I have Sam Edelman Chelsea rainboots and they're super comfortable. I have Silky Toes brand from Amazon that I got a couple of years ago. I can wear them all day, no problem.